Weddings, Picnics, Reunions, Retreats and More. 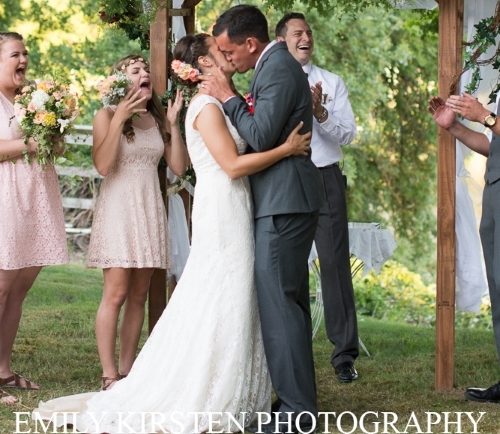 Down a short country lane sits a secluded, two acre riverside site perfect for a country wedding at Fort Vannoy Farms. There are majestic, mature shade trees sculpting the lush grassy setting. 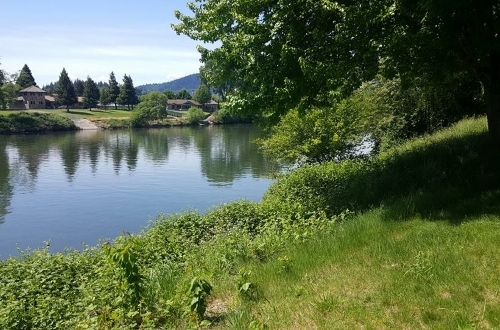 On one side of the lawn flows the beautiful and scenic Rogue River, and offers a tranquil, peaceful setting. On the other side of the gathering area, standing tall and proud, are our iconic corn fields. 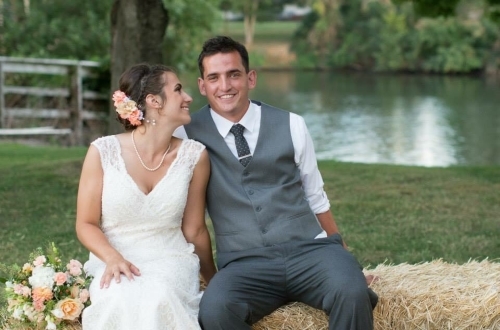 This authentic farm setting makes the perfect backdrop for the most memorable and enchanting wedding. The Wedding Venue is available to the wedding party for 48 hours. 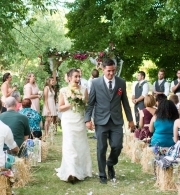 This allows the bride and groom to coordinate their rehearsal and rehearsal dinner, arrange for catering set up, and adding the special touch that transforms the natural site into a romantic setting. The Farm also offers a wooden arbor or dock on the river for a focal point, bales of hay for seating, wooden tables, and portable toilets and washstands for your convenience. 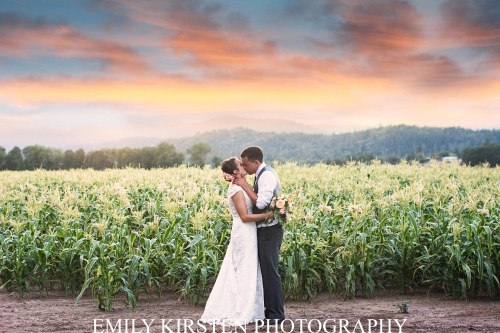 Call our Wedding Coordinator now to reserve or tour this perfect piece of paradise at the farm, Jag (541)787-5506. 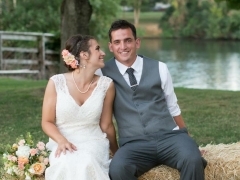 Our wedding worksheet will help you budget your wedding plans. 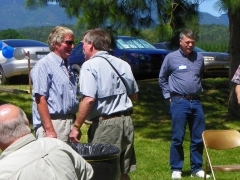 Celebrate hard work and comraderie at your next Company Picnic or get reaquainted with old friends at a Reunion. Fort Vannoy Farms offers a perfect setting for team building, relaxing with colleagues, and time to smile and laugh with co-workers. Gather family or high school friends together at your next reunion and bring a rod and fish off the docks on the scenic Rogue River. Add excitement to your event and reserve our Zipline and Cowtrain for extra fun and games for all age groups. The Picnic area has a lush green canopy over two acres of shaded lawn, wooden tables, portable toilets and wash stations, and ample parking. Call to reserve or tour this picture perfect setting. Our worksheet of activities will help you plan your event. Download Company Picnic and Reunion Worksheet. 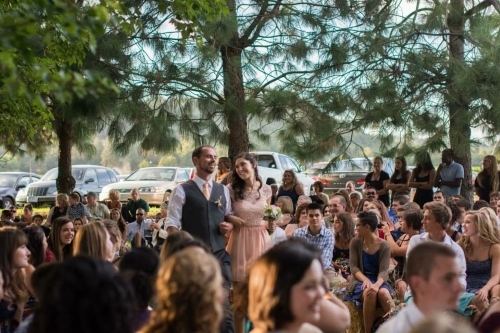 Gathering your congregation together in this pristine natural setting along the banks of the Rogue River. 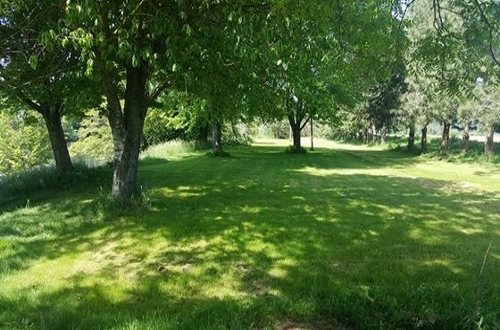 Fort Vannoy Farms has a private grassy setting nestled between the river and the corn fields. Pray and play together on the farm by reserving our Zipline, Cowtrain, and Hay Rides. The site offers wooden tables with benches, portable toilets and a wash station, and plenty of parking. 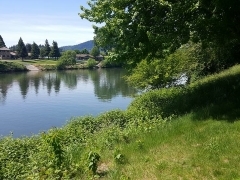 Call Jag, our Event Coordinator, (541) 787-5506, to reserve our piece of heaven on earth.